Strategies and techniques, along with daily challenges for wives to learn how to eliminate conflict in their marriage. 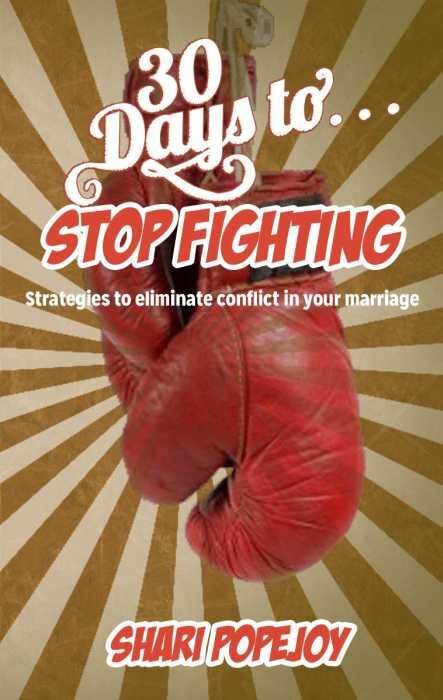 30 Days to Stop Fighting contains thirty daily readings with challenges and strategies to eliminate conflict in marriage. This book explores the principles of I Peter 2 and 3. It is impossible for one person to fight alone. If the other refuses to engage, there is no argument. The author explains how she learned to eliminate conflict and arguments. This book contains thirty days of devotional readings that outline what she learned, how her thought processes changed, and how changing her perspective changed her marriage. The reader is encouraged to get a journal and document her journey, use some of the journal promptes to reflect and write her thoughts and feelings, and to chart her growth.